The system was published in 1960 as the result of an initiative that started in 1948. It is based on the metre-kilogram-second system of units (MKS) rather than any variant of the centimetre–gram–second system (CGS). SI is intended to be an evolving system, so prefixes and units are created and unit definitions are modified through international agreement as the technology of measurement progresses and the precision of measurements improves. The 25th General Conference on Weights and Measures (CGPM) in 2014, for example, discussed a proposal to change the definition of the kilogram. The motivation for the development of the SI was the diversity of units that had sprung up within the CGS systems and the lack of coordination between the various disciplines that used them. The CGPM, which was established by the Metre Convention of 1875, brought together many international organisations to not only agree on the definitions and standards of the new system but also agree rules on writing and presenting measurements in a standardised manner around the world. The International System of Units has been adopted by most developed countries, however, the adoption has not been universal in all English-speaking countries. While metrication in the United States is consistent in science, medicine, government, and various fields of technology and engineering, common measurements are mostly performed in United States customary units, although these have officially been defined in terms of SI units. The United Kingdom has officially adopted a policy of partial metrication, with no intention of replacing imperial units immediately. 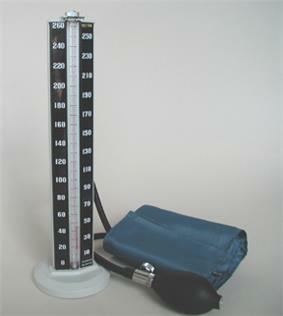 Canada has adopted the SI for most governmental, medical and scientific purposes and for such varied uses as grocery weights, weather reports, traffic signs and gasoline sales, but imperial units are still legally permitted and remain in common use throughout many sectors of Canadian society, particularly in the building trade and the railway sector. The Giovanni Giorgi identified the need to define one single electrical quantity as a fourth base quantity alongside the original three base quantities. Meanwhile, in 1875, the Treaty of the Metre passed responsibility for verification of the kilogram and metre against agreed prototypes from French to international control. In 1921, the Treaty was extended to include all physical quantities including electrical units originally defined in 1893. In 1948, an overhaul of the metric system was set in motion which resulted in the development of the "Practical system of units" which, on its publication in 1960, was given the name "The International System of Units". In 1954, the 10th General Conference on Weights and Measures (CGPM) identified electric current as the fourth base quantity in the practical system of units and added two more base quantities—temperature and luminous intensity—making six base quantities in all. The units associated with these quantities were the metre, kilogram, second, ampere, kelvin and candela. In 1971, a seventh base quantity, amount of substance represented by the mole, was added to the definition of SI. The metric system was developed from 1791 onwards by a committee of the French Academy of Sciences, commissioned by the National Assembly and Louis XVI to create a unified and rational system of measures. The group, which included Antoine Lavoisier (the "father of modern chemistry") and the mathematicians Pierre-Simon Laplace and Adrien-Marie Legendre,:89 used the same principles for relating length, volume, and mass that had been proposed by the English clergyman John Wilkins in 1668 and the concept of using the Earth's meridian as the basis of the definition of length, originally proposed in 1670 by the French abbot Mouton. The law of 7 April 1795 (loi du 18 germinal) defined the terms gramme and kilogramme, which replaced the former terms gravet (correctly milligrave) and grave, and on 22 June 1799 (after Pierre Méchain and Jean-Baptiste Delambre had completed the meridian survey) the definitive standard mètre des Archives and kilogramme des Archives were deposited in the Archives nationales. On 10 December 1799 (a month after Napoleon's coup d'état), the law by which the metric system was to be definitively adopted in France () was passed. During the first half of the nineteenth century there was little consistency in the choice of preferred multiples of the base units – typically the myriametre (7004100000000000000♠10000 metres) was in widespread use in both France and parts of Germany, while the kilogram (7003100000000000000♠1000 grams) rather than the myriagram was used for mass. 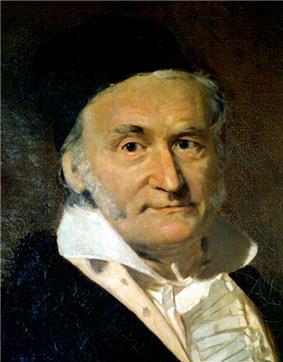 In 1832, the German mathematician Carl Friedrich Gauss, assisted by Wilhelm Weber, implicitly defined the second as a base unit when he quoted the earth's magnetic field in terms of millimetres, grams, and seconds. Prior to this, the strength of the earth’s magnetic field had only been described in relative terms. The technique used by Gauss was to equate the torque induced on a suspended magnet of known mass by the earth’s magnetic field with the torque induced on an equivalent system under gravity. The resultant calculations enabled him to assign dimensions based on mass, length and time to the magnetic field. 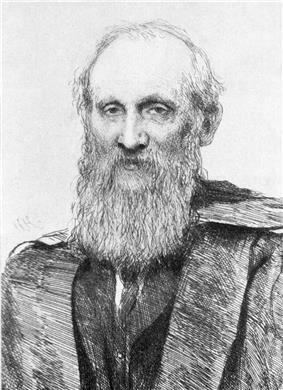 In the 1860s, James Clerk Maxwell, William Thomson (later Lord Kelvin) and others working under the auspices of the British Association for the Advancement of Science, built on Gauss' work and formalised the concept of a coherent system of units with base units and derived units. The principle of coherence was successfully used to define a number of units of measure based on the centimetre–gram–second (CGS) system of units (CGS), including the erg for energy, the dyne for force, the barye for pressure, the poise for dynamic viscosity and the stokes for kinematic viscosity. A French-inspired initiative for international cooperation in metrology led to the signing in 1875 of the Metre Convention. :353–354 Initially the convention only covered standards for the metre and the kilogram. A set of 30 prototypes of the metre and 40 prototypes of the kilogram,[Note 3] in each case made of a 90% platinum-10% iridium alloy, were manufactured by the British firm Johnson, Matthey & Co and accepted by the CGPM in 1889. One of each was selected at random to become the International prototype metre and International prototype kilogram that replaced the mètre des Archives and kilogramme des Archives respectively. Each member state was entitled to one of each of the remaining prototypes to serve as the national prototype for that country. General Conference on Weights and Measures (Conférence générale des poids et mesures or CGPM) – a meeting every four to six years of delegates from all member states that receives and discusses a report from the CIPM and that endorses new developments in the SI on the advice of the CIPM. International Bureau of Weights and Measures (Bureau international des poids et mesures or BIPM) – an international metrology centre at Sèvres in France that has custody of the International prototype kilogram, provides metrology services for the CGPM and CIPM, houses the secretariat for these organisations and hosts their formal meetings. Initially its prime metrological purpose was a periodic recalibration of national prototype metres and kilograms against the international prototype. World map showing metrication, colour-coded by year of conversion: from ca 1800 (green) to 1980 (red). Black indicates the nations that have not yet adopted the SI-system: Burma, Liberia, and the United States. Canada and the United Kingdom both have fairly common use of previously used units, e.g., speed limits in the UK and human height reporting in Canada. In the late 19th and early 20th centuries, a number of non-coherent units of measure based on the gram/kilogram, the centimetre/metre, and the second, such as the Pferdestärke (metric horsepower) for power,[Note 4] the darcy for permeability and the use of "millimetres of mercury" for the measurement of both barometric and blood pressure were developed or propagated, some of which incorporated standard gravity in their definitions. At the end of the Second World War, a number of different systems of measurement were in use throughout the world. Some of these systems were metric system variations, whereas others were based on customary systems of measure. In 1948, after representations by the International Union of Pure and Applied Physics (IUPAP) and by the French Government, the 9th General Conference on Weights and Measures (CGPM) asked the International Committee for Weights and Measures (CIPM) to conduct an international study of the measurement needs of the scientific, technical, and educational communities and "to make recommendations for a single practical system of units of measurement, suitable for adoption by all countries adhering to the Metre Convention". On the basis of the findings of this study, the 10th CGPM in 1954 decided that an international system should be derived from six base units to provide for the measurement of temperature and optical radiation in addition to mechanical and electromagnetic quantities. Six base units were recommended: the metre, kilogram, second, ampere, degree Kelvin (later renamed kelvin), and candela. 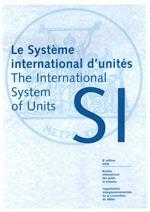 In 1960, the 11th CGPM named the system the International System of Units, abbreviated SI from the French name, Le Système International d'Unités. :110 The BIPM has also described SI as "the modern metric system". :95 The seventh base unit, the mole, was added in 1971 by the 14th CGPM. The International System of Quantities (ISQ) is a system based on seven base quantities: length, mass, time, electric current, thermodynamic temperature, amount of substance, and luminous intensity. Other quantities such as area, pressure, and electrical resistance are derived from these base quantities by clear non-contradictory equations. The ISQ defines the quantities that are measured with the SI units. The ISQ is defined in the international standard ISO/IEC 80000, and was finalised in 2009 with the publication of ISO 80000-1. The CGPM publishes a brochure which defines and presents SI. Its official version is in French, in line with the Metre Convention. :102 It leaves some scope for local interpretation, particularly regarding names and terms in different languages, so for example the United States' National Institute of Standards and Technology (NIST) has produced a version of the CGPM document (NIST SP 330) which clarifies local interpretation for English-language publications that use American English and another document (NIST SP 811) that gives general guidance for the use of SI in the United States and conversion factors between SI and customary units. The writing and maintenance of the CGPM brochure is carried out by one of the committees of the International Committee for Weights and Measures (CIPM), the Consultative Committee for Units (CCU). The CIPM nominates the chairman of this committee, but the committee includes representatives of various other international bodies rather than CIPM or CGPM nominees. [Note 5] This committee thus provides a forum for the bodies concerned to provide input to the CIPM in respect of ongoing enhancements to SI. ^ Weights and Measures Act, Retrieved 2012-09-18, Act current to 18 September 2012. "Canadian units (5) The Canadian units of measurement are as set out and defined in Schedule II, and the symbols and abbreviations therefor are as added pursuant to subparagraph 6(1)(b)(ii)." ^ The differences between "weight" and "mass" were only formally qualified in 1901. ^ The CGPM have defined the metre in terms of the speed of light, so the speed of light has an exact value. ^ The CGPM has defined the metre in terms of the speed of light, so the speed of light has an exact value. ^ In the context of this article, the word "Empire" excludes the United States. ^ The millimetre of mercury for blood pressure is one catalogued in Table 8 of SI Brochure. By November 2014 the conditions set out at the 23rd meeting of the CGPM for the unit redefinitions had still not been met, and the 25th meeting of the CGPM, held in November 2014, adopted a similar resolution encouraging further work towards establishing fixed values for the fundamental constants. At the 24th CGPM meeting, held in October 2011, the CIPM sponsored a resolution in which the requisite definition changes were agreed to in principle and in which the conditions required to be met before the redefinitions could be implemented were restated. The CIPM meeting of October 2010 reviewed progress towards establishing fixed values for the constants but found that "the conditions set by the General Conference at its 23rd meeting have not yet been fully met. For this reason the CIPM does not propose a revision of the SI at the present time". In addition to the speed of light, four constants of nature – the Planck constant, an elementary charge, the Boltzmann constant and the Avogadro number – be defined to have exact values. The current definitions of the kilogram, ampere, kelvin and mole be revised. The wording of the definitions of all the base units be both tightened up and changed to reflect the change in emphasis from explicit unit to explicit constant definitions. At its 23rd meeting, held in 2007, the CGPM recommended that the CIPM should continue to investigate methods to provide exact fixed values for physical constants of nature that could then be used in the definitions of units of measure in place of the IPK, thus enabling the transition from explicit unit definitions to explicit constant definitions. After the metre was redefined in 1960, the kilogram remained the only SI base unit that relied on a specific physical artifact, the international prototype of the kilogram (IPK), for its definition and thus the only unit that was still subject to periodic comparisons of national standard kilograms with the IPK. After the 1996–1998 recalibration, a clear divergence between the various prototype kilograms was observed. Dependencies of the definitions of the seven SI base units. The definitions of the second, kelvin and kilogram are independent of those of any other unit. The use of the Indian numbering system of crores (7007100000000000000♠10000000) and lakhs (7005100000000000000♠100000), which do not map onto the SI system of prefixes, is widespread and is often found alongside or in place of the western numbering system. Four years after the Indian Government announced its metrication programme, SI was published. The result was that the initial metrication programme was a conversion to the CGS system of units and the subsequent adoption of SI has been haphazard. Fifty years later, many of the country's schoolbooks still use CGS or imperial units. Originally the Indian Government had planned to replace all units of measure with metric units by 1960. In 1976 a new Weights and Measures Act replaced the 1956 Act which, amongst other things, required that all weighing devices be approved before being released onto the market place. However, in 2012, it was reported that traditional units were still encountered in small manufacturing establishments and in the marketplace alongside CGS, SI and imperial measures, particularly in the poorer areas. 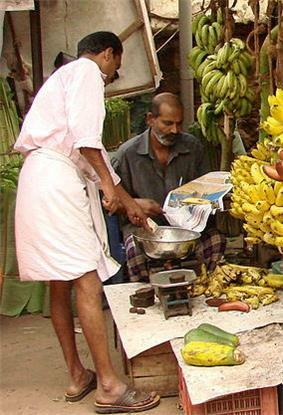 India was one of the last countries to start a metrication programme before the advent of SI. When it became independent in 1947, both imperial and native units of measure were in use. Its metrication programme started in 1956 with the passing of the Standards of Weights and Measures Act. Part of the act fixed the value of the seer (a legacy unit of mass) to 0.9331 kg exactly; elsewhere the Act declared that from 1960 all non-metric units of measure were to be illegal. When the directive was revisited during 1977, some of the older units that were being reviewed (such as millimetre of mercury for blood pressure)[Note 18] were retained but others were phased out, thereby broadly aligning the allowable units with SI. The directive was however overhauled to accommodate British and Irish interests in retaining the imperial system in certain circumstances. It was reissued as directive 80/181/EEC. 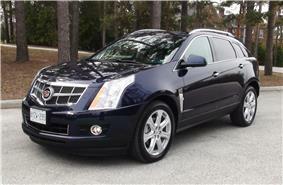 During subsequent revisions, the directive has reflected changes in the definition of SI. The directive also formalised the use of supplementary units, which in 1979 were permitted for a period of ten years. The cut-off date for the use of supplementary units was extended a number of times and in 2009 was extended indefinitely. In 1972, in order to harmonise units of measure as part of a programme to facilitate trade between member states, the EEC issued directive 71/354/EEC. This directive catalogued units of measure that could be used for "economic, public health, public safety and administrative purposes" and also provided instructions for a transition from the existing units of measure that were in use. The directive replicated the CGPM SI recommendations and in addition pre-empted some of the additions whose use had been recommended by the CIPM in 1969, but had not been ratified by the CGPM. [Note 16] The directive also catalogued units of measure whose status would be reviewed by the end of 1977 (mainly coherent CGS units of measure) and also catalogued units of measure that were to be phased out by the end of 1977, including the use of obsolete names for the sale of timber such as the stere, the use of units of force and pressure that made use of the acceleration due to gravity,[Note 17] the use of non-coherent units of power such as the Pferdestärke (PS), the use of the calorie as a measure of energy and the stilb as a measure of luminance. The directive was silent in respect of units that were specific to one or two countries including the pond, pfund, livre (Dutch, German and French synonyms for 500 g), thereby effectively prohibiting their use as well. In 1960, all the largest industrialised nations that had an established history of using the metric system were members of the European Economic Community (EEC). Meanwhile, in 1999 the UPLR was amended to permit metric-only labelling and automatically became law in those states that accept UPLR "as is". By 1 January 2009, 48 out of 50 states permit metric-only labelling, either through UPLR or through their own legislation. As of February 2013 the use of metric (and therefore SI) units in the United States does not follow any pattern. Dual-unit labelling on consumer goods is mandatory. Some consumer goods such as soft drinks are sold in metric quantities, others such as milk are sold in customary units. The engineering industry is equally split. 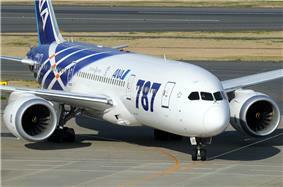 The automotive industry is largely metric, but aircraft such as the Boeing 787 Dreamliner were designed using customary units. During the first decade of the 21st century, the EU directive 80/181/EEC had required that dual unit labelling of goods sold within the EU cease by the end of 2009. This was backed up by requests from other nations including Japan and New Zealand to permit metric-only labelling as an aid to trade with those countries. Opinion in the United States was split – a bill to permit metric-only labelling at the federal level was to have been introduced in 2005 but significant opposition from the Food Marketing Institute, representing US grocers, has delayed the introduction of the bill. During a routine decennial review of the directive in 2008, the EU postponed the sunset clause for dual units indefinitely. Although overall responsibility for labelling requirements of consumer goods lies with Congress and is therefore covered by federal law, details of labelling requirements for certain commodities are controlled by state law or by other authorities such as the Food and Drug Administration, Environmental Protection Agency and Alcohol and Tobacco Tax and Trade Bureau. The federal Fair Packaging and Labeling Act (FPLA), originally passed in 1964, was amended in 1992 to require consumer goods directly under its jurisdiction to be labelled in both customary and metric units. Some industries are engaged in efforts to amend this law to allow manufacturers to use only metric labelling. The National Conference on Weights and Measures has developed the Uniform Packaging and Labeling Regulations (UPLR) which provides a standard approach to those sections of packaging law that are under state control. Acceptance of the UPLR varies from state to state – fourteen states accept it by merely citing it in their legislation. The 1988 Omnibus Foreign Trade and Competitiveness Act removed international trade barriers and amended the Metric Conversion Act of 1975, designating the metric system as "the Preferred system of weights and measures for United States trade and commerce". The legislation stated that the federal government has a responsibility to assist industry, especially small business, as it voluntarily converts to the metric system of measurement. Exceptions were made for the highway and construction industries; the Department of Transportation planned to require metric units by 2000, but this plan was cancelled by the 1998 highway bill TEA21. However, the US military uses the metric system widely, partly because of the need to work with armed services from other nations. On 10 February 1964, the National Bureau of Standards (now the National Institute of Standards and Technology) issued a statement that it was to use SI except where this would have an obvious detrimental effect. In 1968 Congress authorised the U.S. Metric Study the emphasis of which was to examine the feasibility of adopting SI. The first volume was delivered in 1970. The study recommended that the United States adopt the International System of units, and in 1975 Congress passed the Metric Conversion Act of 1975 which established a national policy of coordinating and planning for the increased use of the metric measurement system in the United States. Metrication was voluntary and to be coordinated by the United States Metric Board (USMB). Even though Congress set up a framework for the use of the metric system in the nineteenth century,[Note 15] the United States continues to use US customary units, based on English measure passed by parliament under the reign of Queen Anne in 1706, for most purposes apart from science and medicine. In Puerto Rico, metric units are widely used due to the vast majority of the population having Spanish heritage. By 1980 all apart from the United Kingdom, Canada and Ireland had effectively completed their programs. In the United Kingdom the breakdown of voluntary metrication in the mid-1970s:§1.8 coincided with the United Kingdom's obligations as part of the EEC to adopt the metric system, resulting in legislation to force metrication in certain areas and the Eurosceptic movement adopting an anti-metrication stance and the United Kingdom seeking a number of derogations from the relevant EEC directives. Once the metrication of most consumer goods was completed in 2000, aspects of British life, especially in government, commerce and industry used SI. :§1.6 & §1.10 Although SI or units approved for use alongside SI are used in most areas where units of measure are regulated[Note 14] imperial units are widely encountered in unregulated areas such as the press and everyday speech. Canada has adopted it for most purposes, but imperial units are still legally permitted and remain in common use throughout a few sectors of Canadian society, particularly in the buildings, trades and railways sectors. The situation in Ireland, apart from road signs which were metricated in the early 2000s, is similar to that in the United Kingdom. When the SI standard was published in 1960, the only major Commonwealth country to have adopted the metric system was India. In 1863, the first reading of a bill that would have made the metric system compulsory passed its first reading in the House of Commons by 110 votes to 75. The bill, however, failed to make the statute book because of lack of parliamentary time. :136 In 1965, after this and similar false starts the then Federation of British Industry informed the British Government that its members favoured the adoption of the metric system. The rationale behind the request was that 80% of British exports were to countries that used the metric system or that were considering changing to the metric system. The Board of Trade, on behalf of the Government, agreed to support a ten-year metrication programme. The government agreed to a voluntary policy requiring minimal legislation and costs to be borne where they fell. SI would be used from the outset. The rest of the Commonwealth, South Africa and Ireland followed within a few years; in some countries such as South Africa and Australia metrication was mandatory rather than voluntary. 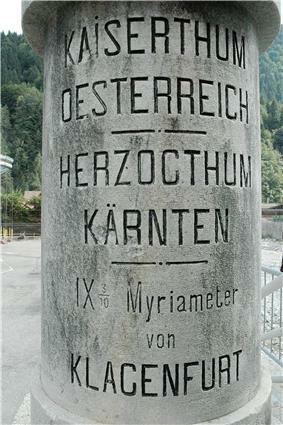 Even though the use of metric units was legalised for trade in the UK in 1864, the UK had signed the Metre Convention in 1884 and the UK Parliament had defined the yard and the pound in terms of the metre and the kilogram in 1897, the UK continued to use the imperial system of measure and to export the imperial system of units to the Empire. [Note 13] In 1932, the system of Imperial Preference was set up at the Ottawa Conference. Although Ireland left the Commonwealth in 1948 and South Africa in 1961, both continued their close economic ties with the Commonwealth. SI has become the world's most widely used International Organization of Legal Metrology (OIML) provides a forum for harmonisation of national standards and legislation in respect of metrology. The first such group comprises the units of time and of angles and certain legacy non-SI metric units. Most of mankind has used the day and its subdivisions as a basis of time with the result that the second, minute, hour and day, unlike the foot or the pound, were the same regardless of where it was being measured. The second has been catalogued as an SI unit, its multiples as units of measure that may be used alongside the SI. The measurement of angles has likewise had a long history of consistent use – the radian, being 1/2π of a revolution, has mathematical niceties, but it is cumbersome for navigation, hence the retention of the degree, minute and second of arc. The tonne, litre and hectare were adopted by the CGPM in 1879 and have been retained as units that may be used alongside SI units, having been given unique symbols. Although, in theory, SI can be used for any physical measurement, it is recognised that some non-SI units still appear in the scientific, technical and commercial literature, and will continue to be used for many years to come. In addition, certain other units are so deeply embedded in the history and culture of the human race that they will continue to be used for the foreseeable future. The CIPM has catalogued such units and included them in the SI Brochure so that they can be used consistently. In addition, advantage was taken of developments in technology to redefine many of the base units enabling the use of higher precision techniques. In its original form (1960), the SI defined prefixes for values ranging from pico- (symbol p) having a value of 10−12 to tera- (symbol T) having a value of 1012. The list was extended at the 12th CGPM (1964),:152 at the 15th CGPM (1975):158 and at the 19th CGPM (1991):164 to give the current range of prefixes. The 14th CGPM (1971) added the mole (symbol mol) to the list of base units. The preamble to the Metre Convention read "Desiring the international uniformity and precision in standards of weight and measure, have resolved to conclude a convention ...". Changing technology has led to an evolution of the definitions and standards that has followed two principal strands – changes to SI itself and clarification of how to use units of measure that are not part of SI, but are still nevertheless used on a worldwide basis. At least three separate experiments be carried out yielding values having a relative standard uncertainty in the determination of the kilogram of no more than 6992500000000000000♠5×10−8 and at least one of these values should be better than 6992200000000000000♠2×10−8. Both the Watt balance and the Avogadro project should be included in the experiments and any differences between these be reconciled. Silicon sphere for the Avogadro project used for measuring the Avogadro constant to a relative uncertainty of 2×10−8 or less, held by Achim Leistner. Symbols are written in upright (Roman) type (m for metres, s for seconds), so as to differentiate from the italic type used for quantities (m for mass, s for displacement). By consensus of international standards bodies, this rule is applied independent of the font used for surrounding text. In print, the space used as a thousands separator (commonly called a thin space) is typically narrower than that used between words. Further rules[Note 9] are specified in respect of production of text using printing presses, word processors, typewriters and the like. Symbols of units do not have a plural form; e.g., 25 kg, not 25 kgs. Uppercase and lowercase prefixes are not interchangeable. E.g., the quantities 1 mW and 1 MW represent two different quantities; the former is the typical power requirement of a hearing aid (1 milliwatt or 0.001 watts), and the latter the typical power requirement of a suburban train (1 megawatt or 7006100000000000000♠1000000 watts). The 10th resolution of CGPM in 2003 declared that "the symbol for the decimal marker shall be either the point on the line or the comma on the line." In practice, the decimal point is used in English-speaking countries and most of Asia, and the comma in most of Latin America and in continental European languages. Note the lowercase letters (neither "metres" nor "seconds" were named after people), the space between the value and the units, and the superscript "2" to denote "squared". The value of a quantity is written as a number followed by a space (representing a multiplication sign) and a unit symbol; e.g., 2.21 kg, 7002730000000000000♠7.3×102 m2, 22 K. This rule explicitly includes the percent sign (%):134 and the symbol for degrees of temperature (°C). : 133 Exceptions are the symbols for plane angular degrees, minutes, and seconds (°, ′, and ″), which are placed immediately after the number with no intervening space. A prefix is part of the unit, and its symbol is prepended to the unit symbol without a separator (e.g., k in km, M in MPa, G in GHz). Compound prefixes are not allowed. Symbols for derived units formed by multiplication are joined with a centre dot (·) or a non-breaking space; e.g., N·m or N m.
Symbols for derived units formed by division are joined with a solidus (/), or given as a negative exponent. E.g., the "metre per second" can be written m/s, m s−1, m·s−1, or m/s. Only one solidus should be used; e.g., kg/(m·s2) and kg·m−1·s−2 are acceptable, but kg/m/s2 is ambiguous and unacceptable. The basic units are metre (米 mǐ), litre (升 shēng), gram (克 kè), and second (秒 miǎo), while others include watt (瓦 wǎ). Prefixes include deci- (分 fēn), centi- (厘 lí), milli- (毫 háo), micro- (微 wēi), kilo- (千 qiān), and mega- (兆 zhào). These are combined to form disyllabic characters, such as 厘米 límǐ "centimetre" or 千瓦 qiānwǎ "kilowatt". In the 19th century various compound characters were also used, similar to Japanese, either imported or formed on the same principles, such as 瓩 for 千瓦 qiānwǎ (kilowatt) or 糎 for 厘米. 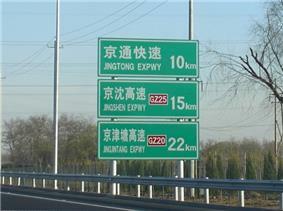 These are generally not used today – for example centimetres is usually written 厘米 límǐ – but are occasionally found in older or technical writing. These characters are examples of the rare phenomenon of single-character loan words – a foreign word represented by a single Japanese character – and form the plurality of such words. Similar characters were also coined for other units, such as British units, though these also have fallen out of use; see Single character gairaigo: Metric units and Single character gairaigo: Other units for a full list. A set of characters representing various metric units was created in Japan in the late 19th century. Characters exist for three base units: the metre (米), litre (升) and gram (瓦). These were combined with a set of six prefix characters – kilo- (千), hecto- (百), deca- (十), deci- (分), centi- (厘) and milli- (毛) – to form an additional 18 single-character units. The seven length units (kilometre to millimetre), for example, are 粁, 粨, 籵, 米, 粉, 糎 and 粍. These characters, however, are not in common use today; instead, units are written out in katakana, the Japanese syllabary used for foreign borrowings, such as "キロメートル" (kiromētoru) for "kilometre". A few Sino-Japanese words for these units remain in use in Japanese, most significantly "平米" (heibei) for "square metre", but otherwise borrowed pronunciations are used. Chinese uses traditional logograms for writing the unit names, while in Japanese unit names are written in the phonetic katakana script; in both cases symbols are written using the internationally recognised Latin and Greek characters. The normal rules of English apply to unit names, where a hyphen is incorporated into the adjectival sense, e.g. "a 25-kilogram sphere". In English, a space is recommended between the number and the unit symbol when used as an adjective, e.g. "a 25 kg sphere". In English, when unit names are combined to denote multiplication of the units concerned, they are separated with a hyphen or a space (e.g. newton-metre or newton metre). The plural is formed by converting the last unit name to the plural form (e.g. ten newton-metres). Likewise, the plural forms of units follow the grammar of the language concerned: in English, the normal rules of English grammar are used, e.g. "henries" is the plural of "henry". :31 However, the units lux, hertz, and siemens have irregular plurals in that they remain the same in both their singular and plural form. Names of units follow the grammatical rules associated with common nouns: in English and in French they start with a lowercase letter (e.g., newton, hertz, pascal), even when the symbol for the unit begins with a capital letter. This also applies to "degrees Celsius", since "degree" is the unit. In German, however, the names of units, as with all German nouns, start with capital letters. The spelling of unit names is a matter for the guardians[Note 8] of the language concerned – the official British and American spellings for certain SI units differ – British English, as well as Australian, Canadian and New Zealand English, uses the spelling deca-, metre, and litre whereas American English uses the spelling deka-, meter, and liter, respectively. In 1948, the ninth CGPM approved the first formal recommendation for the writing of symbols in the metric system when the basis of the rules as they are now known was laid down. These rules were subsequently extended by International Electrotechnical Commission (IEC) and now cover unit symbols and names, prefix symbols and names, how quantity symbols should be written and used and how the values of quantities should be expressed. :104,130 Both ISO and the IEC have published rules for the presentation of SI units that are generally compatible with those published in the SI Brochure. As of August 2013 ISO and IEC were in the process of merging their standards for quantities and units into a single set of compatible documents identified as the ISO/IEC 80000 Standard. The rules covering printing of quantities and units are part of ISO 80000-1:2009. Before 1948, the writing of metric quantities was haphazard. In 1879, the CIPM published recommendations for writing the symbols for length, area, volume and mass, but it was outside its domain to publish recommendations for other quantities. Beginning in about 1900, physicists who had been using the symbol "μ" for "micrometre" (or "micron"), "λ" for "microlitre", and "γ" for "microgram" started to use the symbols "μm", "μL" and "μg", but it was only in 1935, a decade after the revision of the Metre Convention that the CIPM formally adopted this proposal and recommended that the symbol "μ" be used universally as a prefix for 6994100000000000000♠10−6. erg, dyne, poise, stokes, stilb, phot, gal, maxwell, gauss, and œrsted. Non-SI units whose values in SI units must be obtained experimentally (Table 7). 2. The ordering of this table is such that any derived unit is based only on base units or derived units that precede it in the table. ).2 (Pa)—and the pascal can be defined as "newtons per square metre" (N/mpascal is the pressure (N), the SI unit of newton is the force Such units may themselves be used in combination with the names and symbols for base units and for other derived units to express the units of other derived quantities. For example, the SI unit of For the sake of convenience, some derived units have special names and symbols. Coherent units are derived units that contain no numerical factor other than 1—quantities such as standard gravity and density of water are absent from their definitions. In the example above, one newton is the force required to accelerate a mass of one kilogram by one metre per second squared. Since the SI units of mass and acceleration are kg and m·s−2 respectively and F ∝ m × a, the units of force (and hence of newtons) is formed by multiplication to give kg·m·s−2. Since the newton is part of a coherent set of units, the constant of proportionality is 1. The derived units in the SI are formed by powers, products or quotients of the base units and are unlimited in number. :103:3 Derived units are associated with derived quantities, for example velocity is a quantity that is derived from the base quantities of time and length, so in SI the derived unit is metres per second (symbol m/s). The dimensions of derived units can be expressed in terms of the dimensions of the base units. Current (1889): The mass of the international prototype kilogram. Original (Medieval): 1/7004864000000000000♠86400 of a day. Current (1967): The duration of 7009919263177000000♠9192631770 periods of the radiation corresponding to the transition between the two hyperfine levels of the ground state of the caesium 133 atom. Original (1743): The centigrade scale is obtained by assigning 0 °C to the freezing point of water and 100 °C to the boiling point of water. Original (1946): The value of the new candle is such that the brightness of the full radiator at the temperature of solidification of platinum is 60 new candles per square centimetre. Current (1979): The luminous intensity, in a given direction, of a source that emits monochromatic radiation of frequency 7014540000000000000♠540×1012 hertz and that has a radiant intensity in that direction of 1/683 watt per steradian. ^ Despite the prefix "kilo-", the kilogram is the base unit of mass. The kilogram, not the gram, is used in the definitions of derived units. Nonetheless, units of mass are named as if the gram were the base unit. The SI base units are the building blocks of the system and all other units are derived from them. 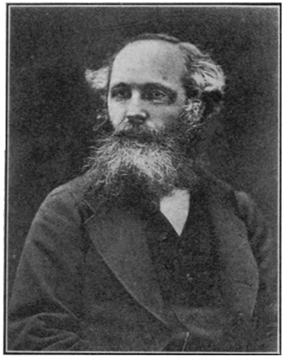 When Maxwell first introduced the concept of a coherent system, he identified three quantities that could be used as base units: mass, length and time. Giorgi later identified the need for an electrical base unit. Theoretically any one of electric current, potential difference, electrical resistance, electrical charge or a number of other quantities could have provided the base unit, with the remaining units then being defined by the laws of physics. In the event, the unit of electric current was chosen for SI. Another three base units (for temperature, substance and luminous intensity) were added later.